All Slots Casino - New Players are Welcomed with up to £500! All Slots Casino has been around since 2003 and is licensed by the Lotteries and Gaming Authority of Malta. All Slots is a casino that is accredited by Casinomeister, one of the top gambling information sites in the world. This accreditation is only given to casinos that provide excellent games and treat players fairly. All Slots casino uses Microgaming software and SSL encryption for maximum security. The casino has also received an eCOGRA certificate, which shows that the games are safe and fair for online gamblers. The certificate also reviews the payout rates for their games. All Slots casino provides new players from the UK with a £500 welcome bonus on their first four deposits made within a week. The casino has a loyalty programme, which lets players earn comp points that can be exchanged for casino credits. According to the latest eCOGRA audit report, the payout rates for all games were 96.32%. 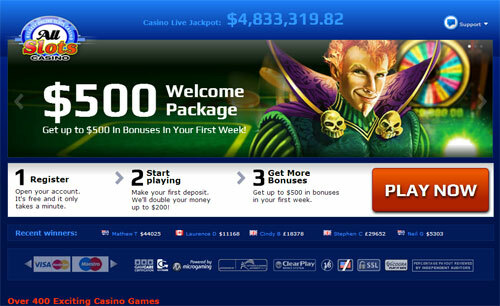 The casino is available on many mobile devices, like Android and iOS tablets or smartphones. UK players can deposit and play in £ and have access to a wide range of deposit and withdrawal options such as credit cards, Neteller, Skrill, uKash and ECO. This casino has hundreds of different Microgaming slots like classic 3-reel slots, video slots with bonus games and progressive slots with huge jackpots such as Mega Moolah. The most popular games at the casino are video slots. New slots often come with special promotions. 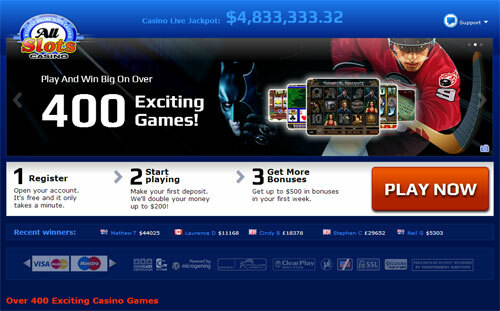 For example, the casino’s newest slots called Red Hot Devil offers players triple loyalty points for every wager made. 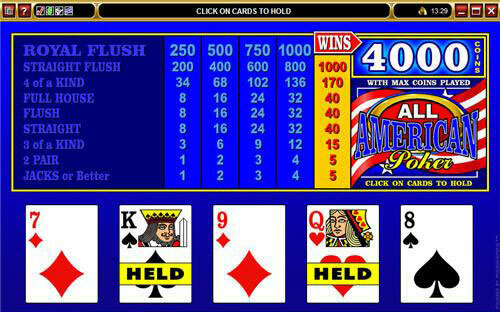 All Slots Online Casino has a downloadable version and also a web-based instant play casino. Table games such as blackjack and roulette are also available as live dealer games.